GitHub - bozd4g/grapefruit: This repository is a project I made as a hobby. I'm developing using with React.js. Want to be notified of new releases in bozd4g/grapefruit? This repository is a project I made as a hobby. 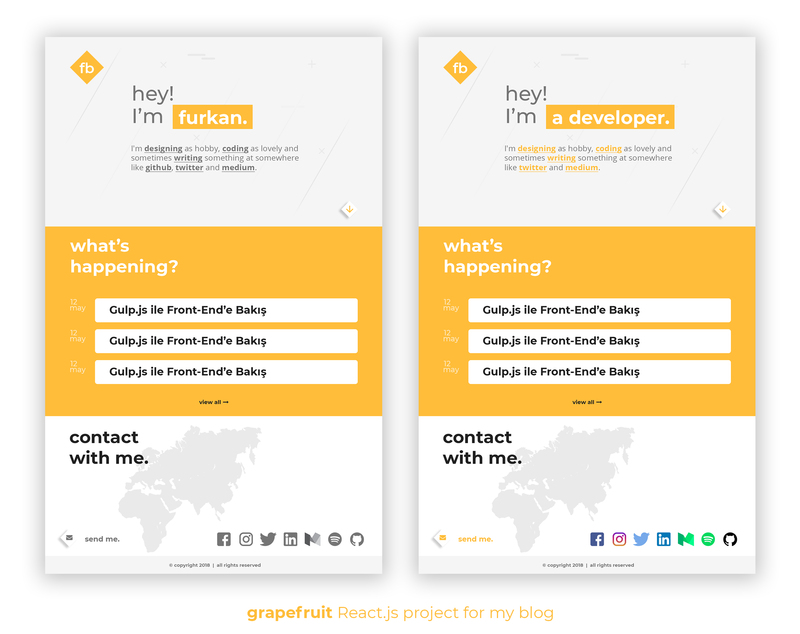 I'm developing using with React.js. All lacks will update soon.